ICU nurses care for the most fragile, critically ill patients. 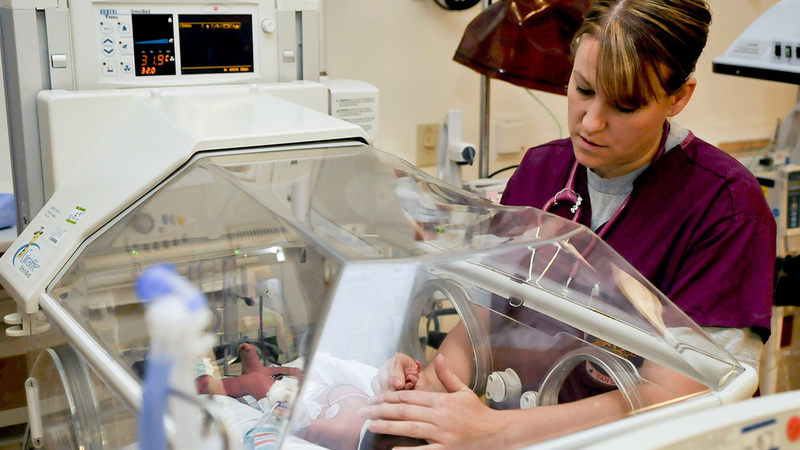 They are described by leaders in the nursing profession as meticulous, organized planners who love detailed levels of care, and who can simultaneously “orchestrate 10 pumps, 6 drips, 4 beeps, and 1 crashing patient without blinking an eye”. It can be a pressure cooker of critical care that demands split second, life-or-death clinical decisions. If that sounds like the type of work you are looking for, read on. “ICU nurses treat patients who require the highest acuity of care in a very structured and controlled setting. In order to treat the most critical patients in the most thorough manner, critical care nurses use their specialized skills and extensive knowledge of disease pathology to provide interventions that sustain life." An organized workflow: An intensive care unit typically operates like a well-oiled machine and ICU nurses wouldn’t have it any other way. ICU nurses appreciate shifts that are structured, organized, and allow them to perform their work without hiccups. Working in organized chaos: ICU nurses are meticulously organized. They have checklists of exactly which medications are due and highlighted grids of which are compatible together, which drips to titrate and when exact intake and output of fluids to the milliliters of blood are taken for lab draws, etc. It’s hard to catch an ICU nurse off-guard with a question about their patients’ care. Helping patients return to long term wellness: ICU nurses have to look at every system in the body as interconnected and treat it as such; something that affects your neurological functioning may also affect your GI system, liver, kidneys, etc. ICU nurses often watch patients progress from critical illness to health again. The goal is long-term wellness; ICU nurses are very involved with patients and families, building rapport and providing education. “It’s entirely possible to have the same assignment two nights in a row and have two very different nights at work. You might assess, give the meds, bathe and turn your patient the first night. Everything goes smoothly, you have four to five hours of free time and leave on time at the end of your shift.